Okay, so shopping is a little different here than what most Americans are used to. And the quantifying ALL the differences is way beyond what one blog post can hold. I should be able to milk this topic for a solid dozen. 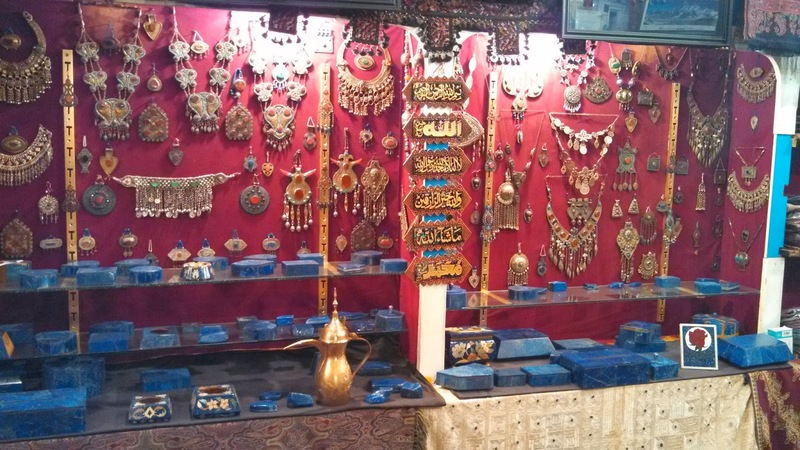 But this is a good place to start: the souks. 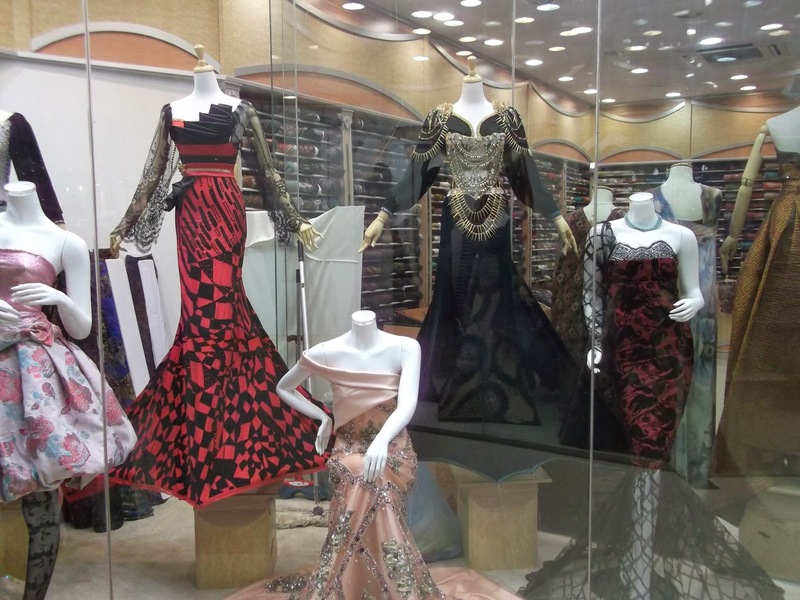 Yes, the malls of Riyadh are famous and plentiful. It’s in the malls that you find Sephora, Banana Republic, Pottery Barn, Marks & Spencer, dress shops, hypermarkets. But do you think the people on my gift list are going to be happy if I go to the other side of the world and come back with sweaters from the Gap? No, I need to find someplace else to shop. Saudis are new to city living. And new to malls. 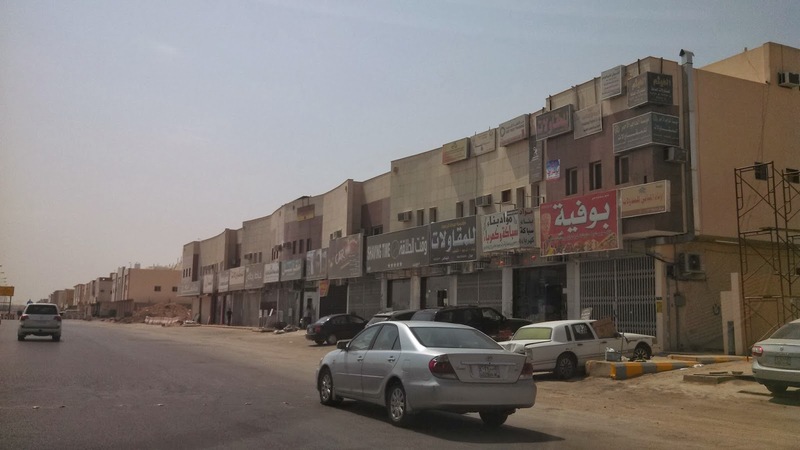 Long-term expats tell me the malls weren’t here twenty years ago, and Riyadh was just a really large version of the mud brick villages (new! now with concrete block!) scattered around the desert, where most people’s grandparents grew up. 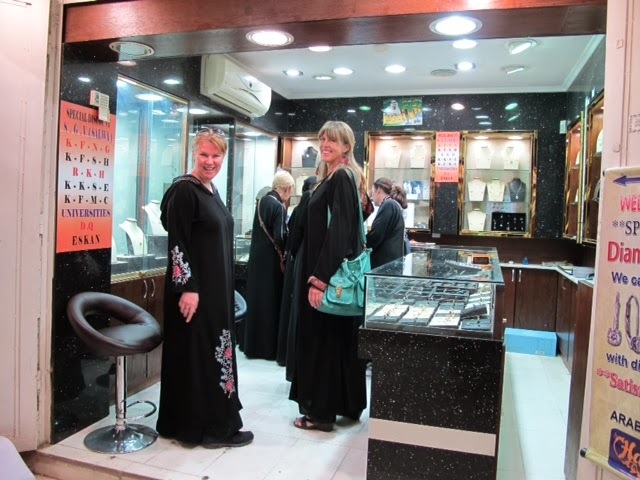 Shopping happened in souks, which are just open-air markets. 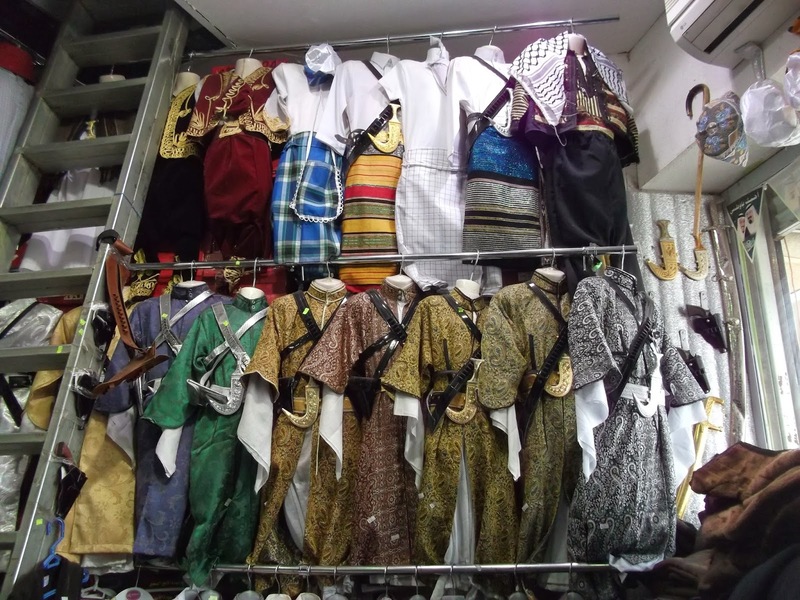 Merchants grouped together by type, so you’d go to the camel souk for Bedouin supplies, the gold souk for jewelry, the clothing souk for clothes…you probably have the pattern figured out by now. If you’ve been to an American farmer’s market or a European Saturday market, you’ve been in a souk–fruits and vegetables over there, sketchy electronics over there, cheap sunglasses and weird shoes over there. 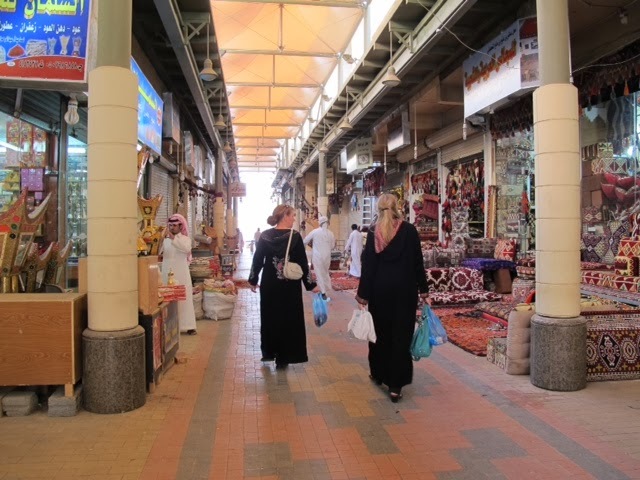 As Saudis migrated to cities, they brought the souk paradigm with them. As I’m sure the Europeans did, too, when their cities were new. 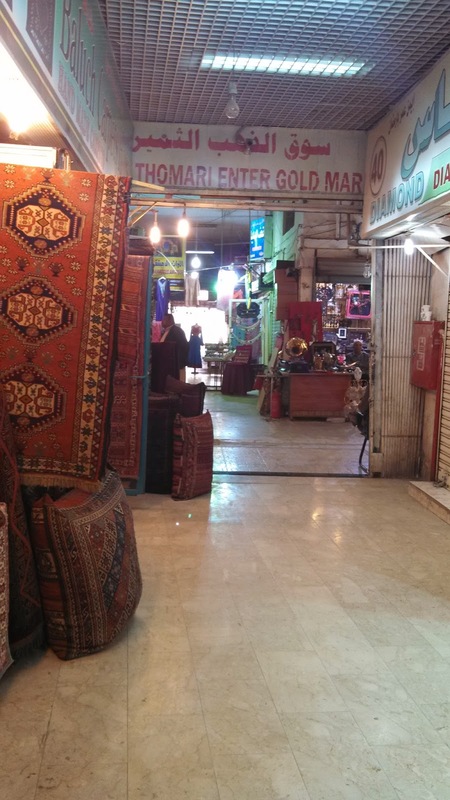 So you have actual souks–sprawling, rabbit-warren-like arcades of stalls and storefronts grouped by type, such as you see above or in my photos from the second-hand souk, taken earlier this fall. (It’s morning in the shot above, so a lot of shops aren’t open yet.) 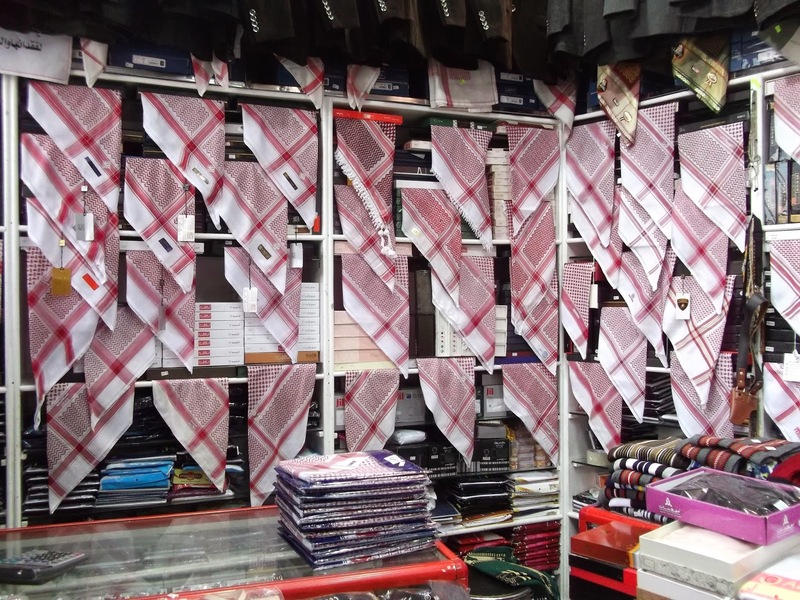 But the souk model also influences the way other shopping happens. This is not a bad neighborhood. 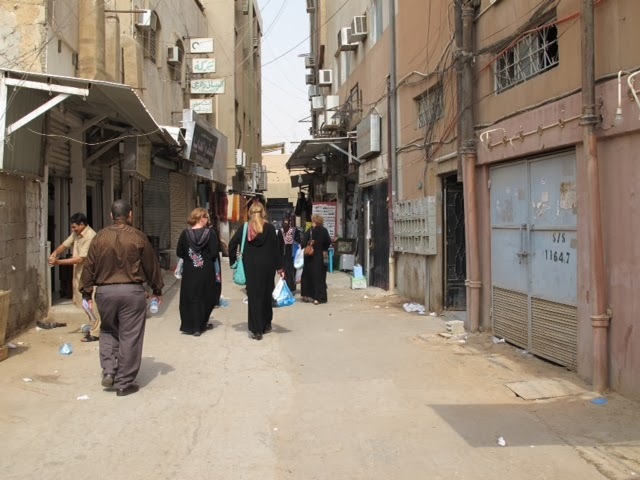 This is a street near our home, and pretty representative of what you see all over Riyadh: mile after mile of concrete block cube-style buildings with rectangular, plate-glass shop openings at the street level with roller-style pull-down doors or metal gates. And a bunch of trash in front. Above are apartments. (In this case, it’s Friday morning, so the shops are closed and the normal jumble of every-man-for-himself mis-parked cars is missing.) 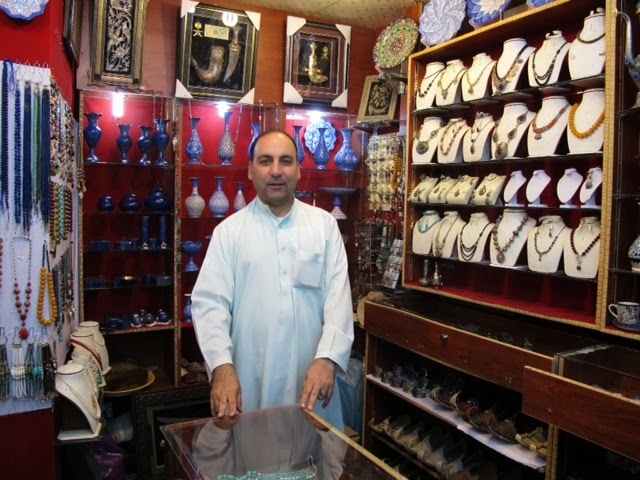 What’s souk-like is the way the business are arranged: same-type businesses tend to cluster together (interrupted by mini-supers, pharmacies, and eateries). 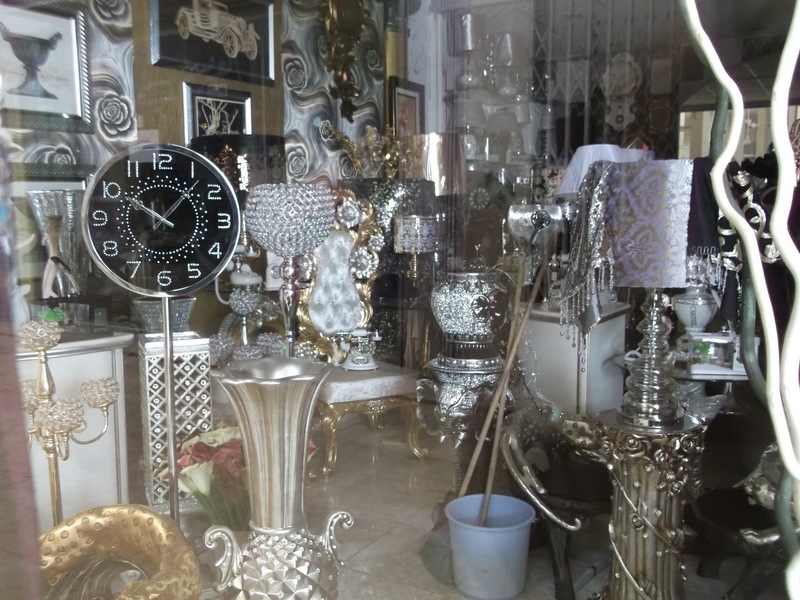 A row of car-rental storefronts, a city block of lighting stores, another of furniture stores, another for tile shops. To the American mind, this is puzzling. 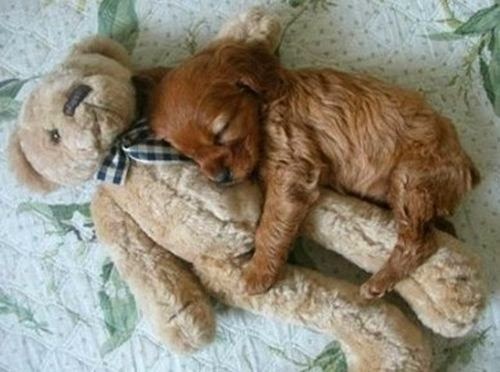 If you’re trying to sell teddy bears, why on earth do you want to snuggle up with your competitors? But here, shoppers would never find you if you eschewed snuggling. The snuggling produces a mass big enough to be a landmark people know about. Refer, for example, to Figure 1. Do you see how much bigger the fuzzy mass of puppy and bear are together than either would be alone? None of these individual shops has an advertising budget–any more than the stalls at the farmer’s market do–so standing alone they’d have no way of letting shoppers know they’re there. People around here start their search for what they need not with Google or Yelp, but by asking “Do you know where you can get teddies with ribbons round their necks?” Then someone will say, “Oh, the adorable fuzzy thing stores are along Ali Bin Somethingorother–you know, just south of King Somebodyelse.” That block of roadway becomes, in essence, the fuzzy thing souk for that part of town. But the street-front shops are driving destinations. If you’re shopping a number of lighting stores, you might park your car and go to the eight or ten right in front of you, but you cross the multi-baracaded street at your own peril (especially at night, dressed all in black), and you’re separated from the next block by another uncrossable street. This kind of shopping is an evening errand that you do with a Man…who has a Car and can drive to the next block. Or that the Man with the Car does on his own. 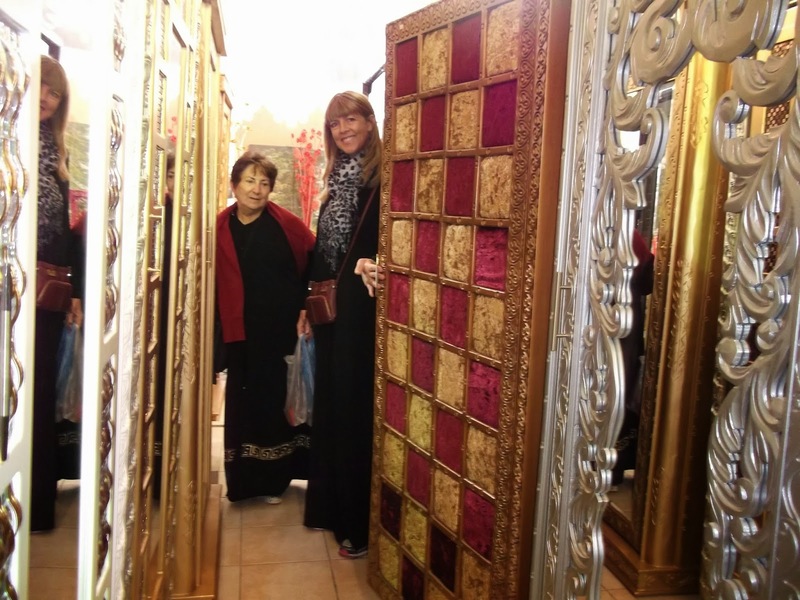 If you’re going to stroll and shop, outside a mall, you’re going to a souk. 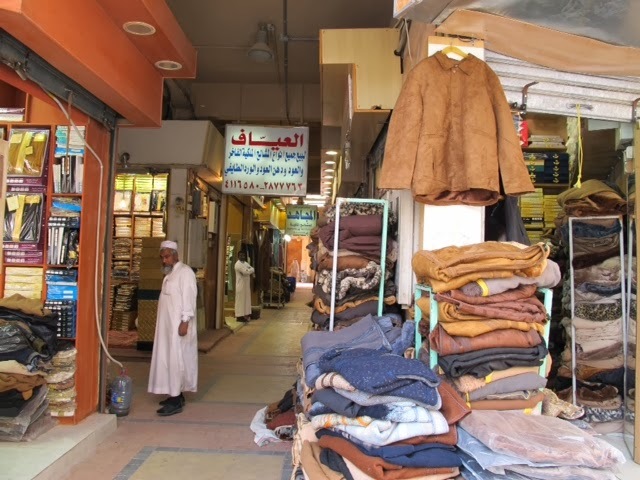 A real souk. Fun, to be sure, but not very practical for Christmas giving. But gold is gold, folks, the world over. There are no deals to be had, so…sorry, kids. Now, because shops close at around 11:30 a.m. for prayer, and in the traditional souks tend to stay closed through the afternoon (reopening after afternoon prayer, sometime between 3:30 and 4:00), the compound bus goes early in the morning so we can maximize our time there before 11:30. Only a few shops are open when we first arrive. 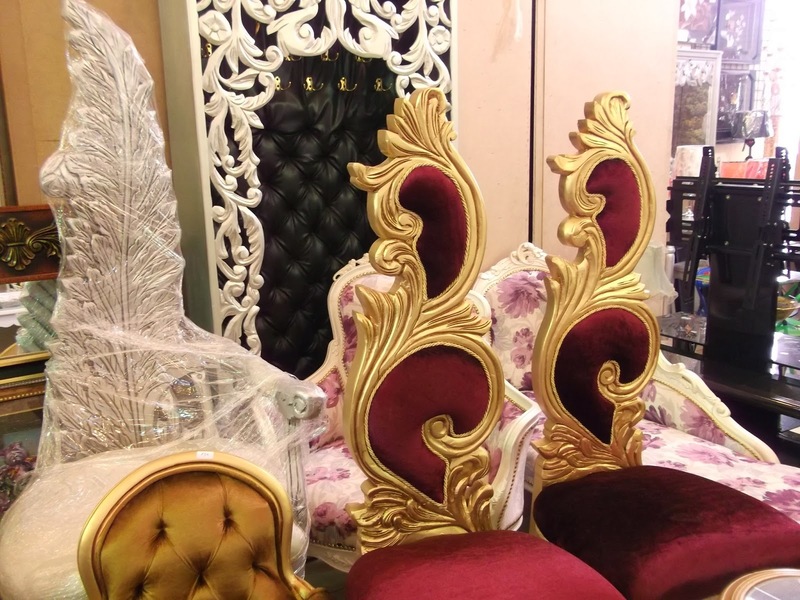 This week, the Al Shark craft-and-who-knows-what store was the place to kill time and find, oh, all kinds of stuff before other Kuwaiti Souk shops opened. Let me help you figure this out. 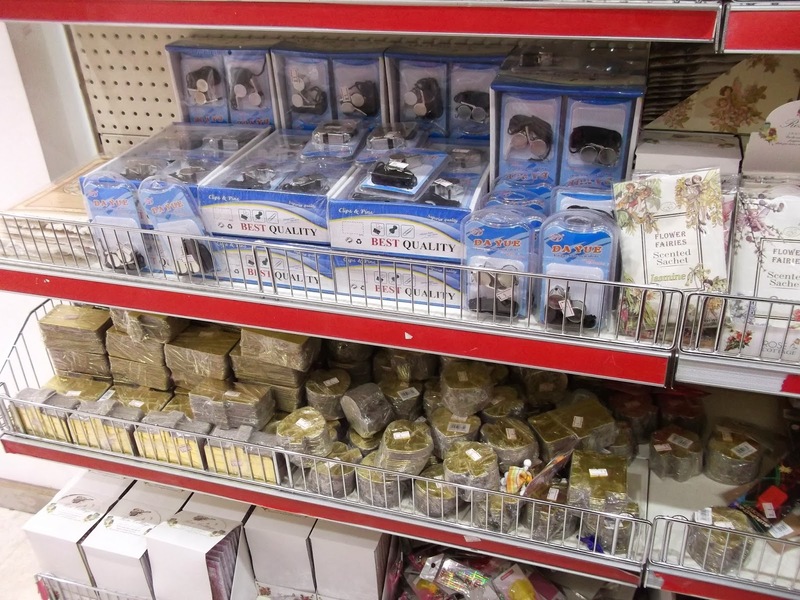 Those are Flower Fairies scented sachets on the right, next to “best quality” police whistles, next to mouse pads that look like oriental rugs, above gold-covered cardboard place cards. YES. 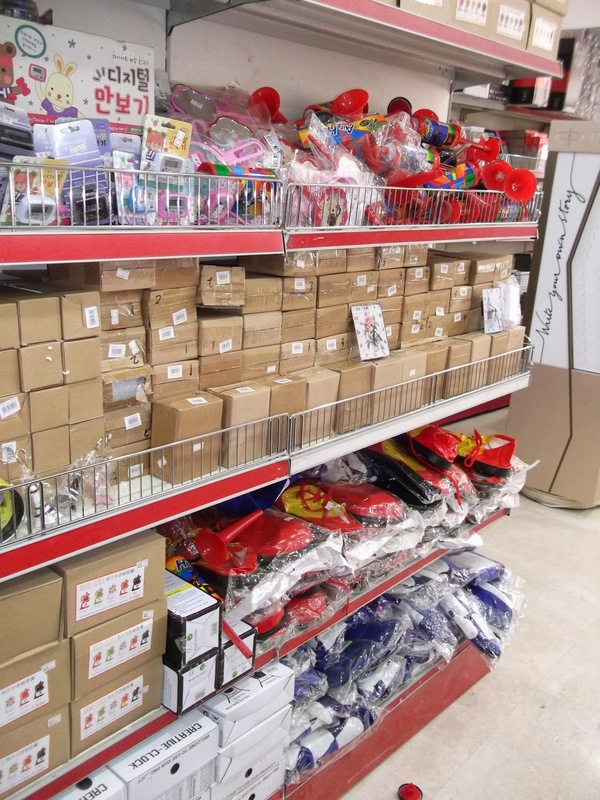 Turn around for plastic air horns, novelty clocks, and clown shoes. Yes. Clown shoes. Sometimes “living lightly” means not having what you really want, doggone it. Back to the souk. But look at the furniture shops! 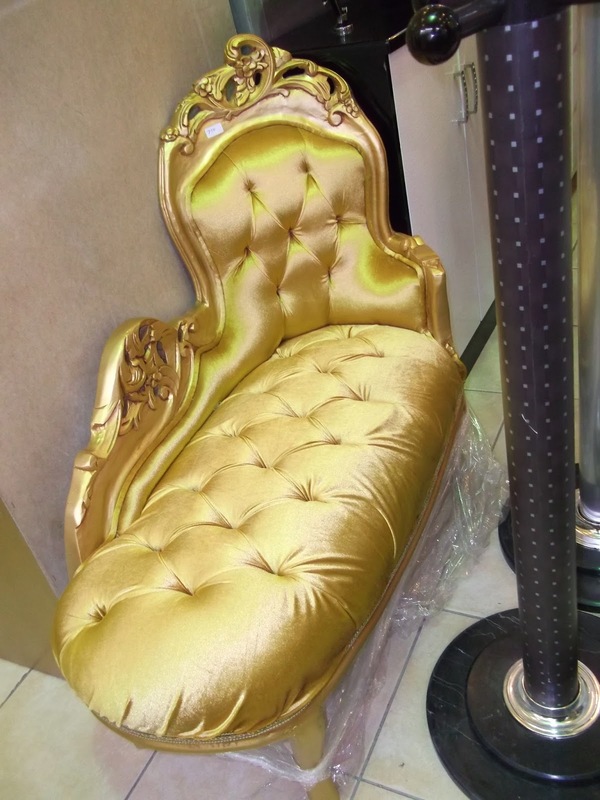 Be advised: Anything that sits still for very long in Saudi Arabia will be gilt, embellished, or tufted. Yes, fabric shops. Those dresses are draped and pinned. You can see the bolts of fabric beyond the display window, through the glass. Okay, seriously. I have to focus. Close my eyes and go straight through the gold souk at Diriyah to the shops of trinkets, collectibles, and gifts clinging to its edges. I’m finally on track. Too many choices, too little time to decide. But when you get right down to it, nothing says merry Christmas like a camel saddle, right? I think I’m done for this year. *Extreme photo credit goes to Cheryl Glassett and Patty Jones, who bailed out my lazy bad self when I either (a) forgot my camera or (b) couldn’t be bothered to download my own pictures. 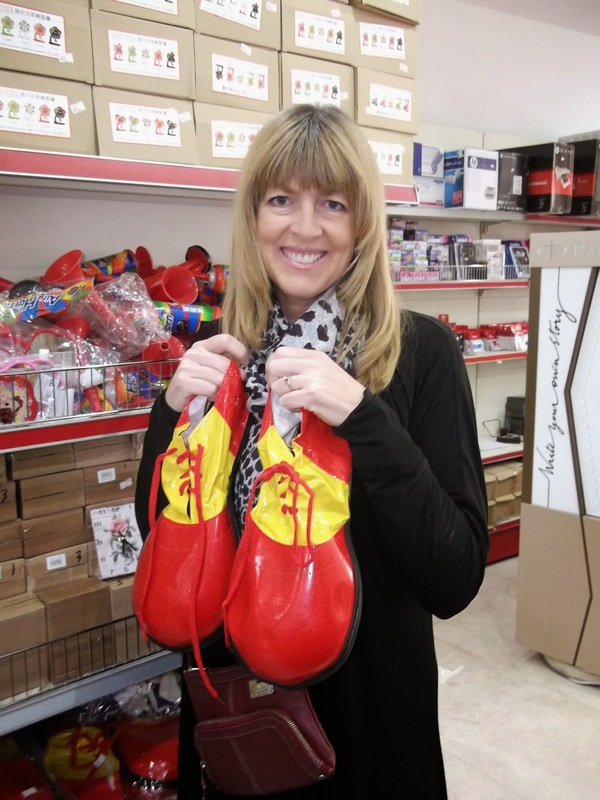 Wonderful experience Margo, thanks for sharing. Closest I can get to this area, or Smith Street Collingwood or the back lanes of Flinders St in the City (Of Melbourne). Struck by nostalgia…thanks for that experience. Those are great to see! Yes, outdoor European markets look (and work) like souks. I guess it shouldn’t be surprising that a market in warm-weather Melbourne would be about the same. 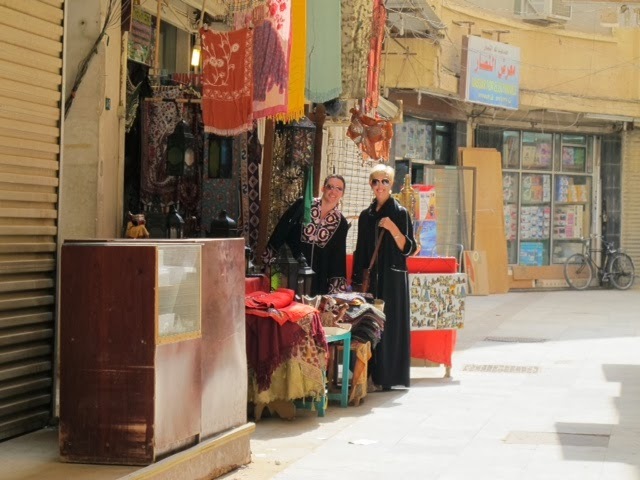 Really–souk-style shopping works much better than the American model of shops spread all over the place. Hello i noticed there are fabric stores..are there stores specific for wedding gowns ? I haven’t seen any, but I also haven’t been looking for any. 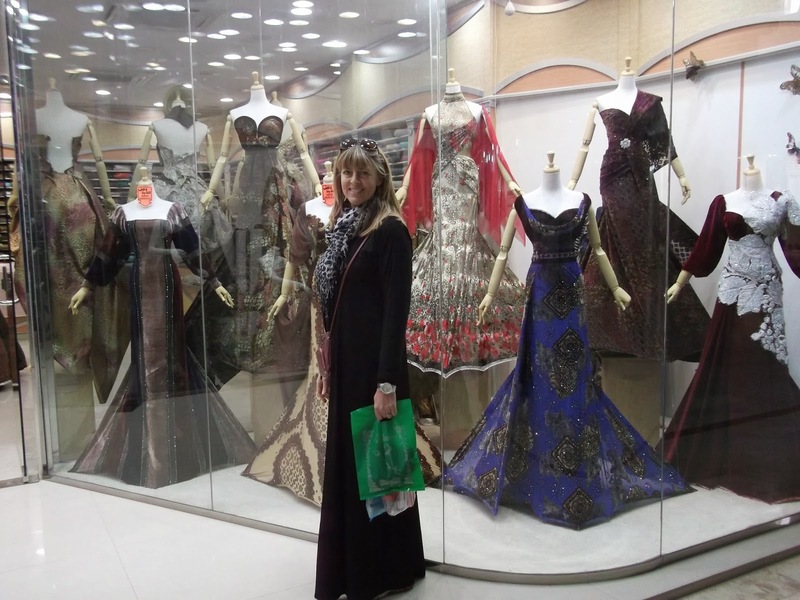 😉 There are so many fabric stores because people have gowns made for all kinds of occasions, so it wouldn’t surprise me to see that the only shops for actual finished wedding gowns might be very exclusive shops with foreign designer gowns. I’d welcome any comments from someone who knows better!